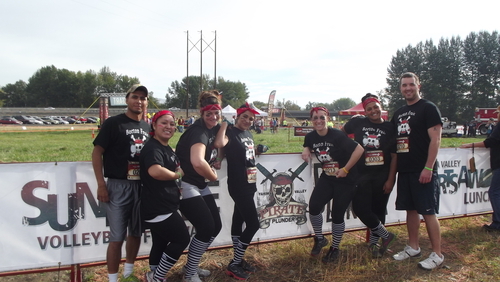 Yakima, WA – Borton Fruit had a number of employees take part in the fun, adventurous Pirate Plunder Race this past weekend. 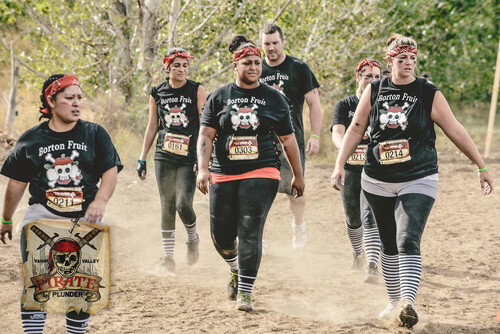 This 4 mile, 16-part obstacle course combines tests of strength, stamina and the love for mud! The race took place on Saturday, October 4th, 2014 here in the Yakima Valley and was put on by the Yakima Valley Sports Commission. All Money received goes toward the event itself as well as other annual events put on by the Sports Commission. The Borton Team consisted of; Kimberly Johns, Alison Herriman, Broc Arndt, Alexus Modest, Heidi Campos, and Jason & Josefina Garza. They wore team shirts designed by Jason Garza, looking sharp for the event. “I would love to do it again, making it an annual event, and hopefully getting more people to participate next year”, said Alison. 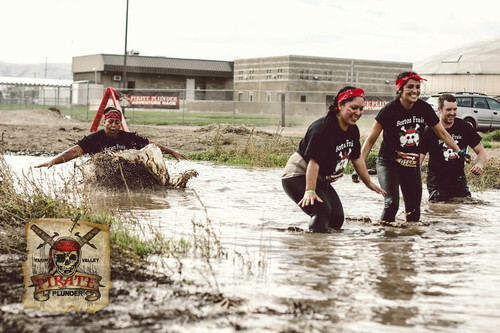 The group faced a number of challenges throughout this race, and tried to take their time to avoid the number of injuries this obstacle course could endure. Borton’s team walked away with one minor injury and a few scrapes and bruises, but everybody was on the same page stating it was all worth it. This was the third year for the event, and the registrants increased from last year by 40%! It looks like they already have the 2015 date set for October 3rd. They changed up a few obstacles this year from last and will probably do so again to keep things exciting. 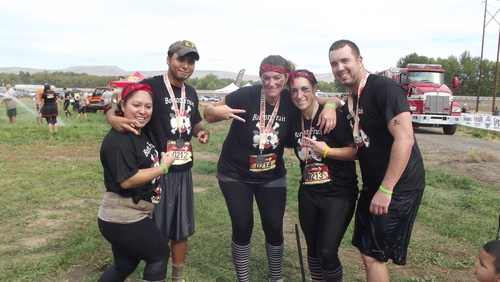 “I loved everything, group bonding, helping one another and cheering for each other. I think it was a wonderful opportunity to spend time with amazing, fun people in an exciting environment. It gave me the chance to see my co-workers in a different light, and for that I am very thankful. It is an experience I would do a million times over,” says Kimberly Johns. 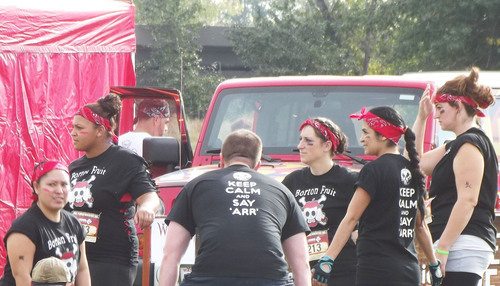 Borton Fruit looks forward to participating again next year, these events are great for our valley! 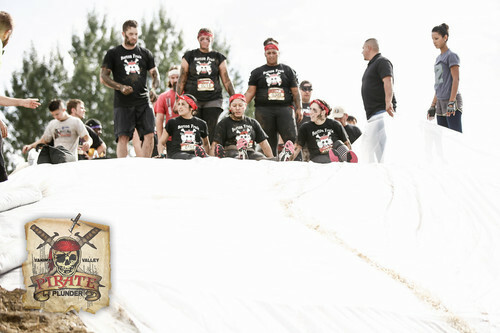 To find out more about next year’s race, please see link; http://pirateplunderrace.com/.